What is Aspect-Oriented Programming(AOP)? By using the diagram below, the concept can be understood in a few seconds. First take a took at the diagram below, and think about what could be the problem. 1. 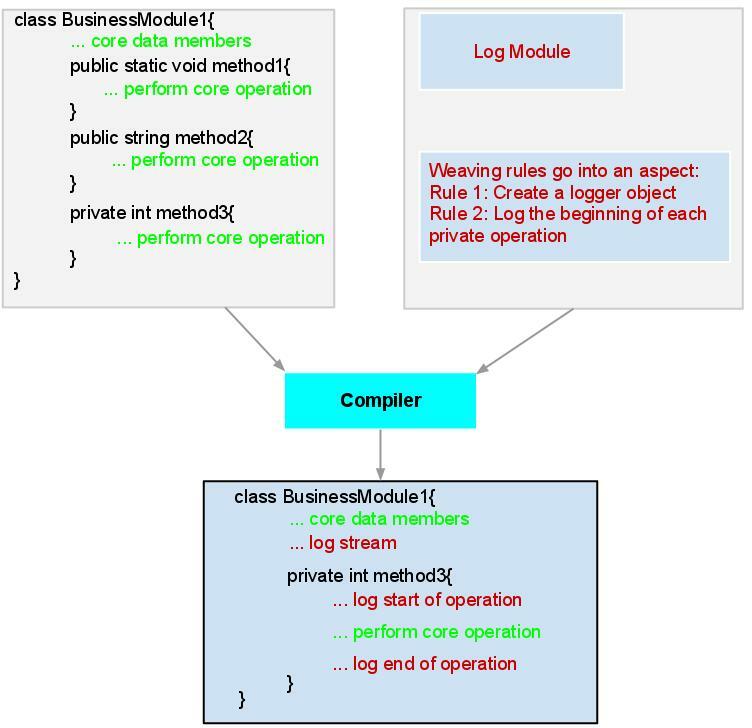 Code tangling: the logging code is mixed with business logic. 2. Code scattering: caused by identical code put in every module. The logging function is a called "cross-cutting concern". That is, a function that is used in many other modules, such as authentication, logging, performance, error checking, data persistence, storage management, to name just a few. 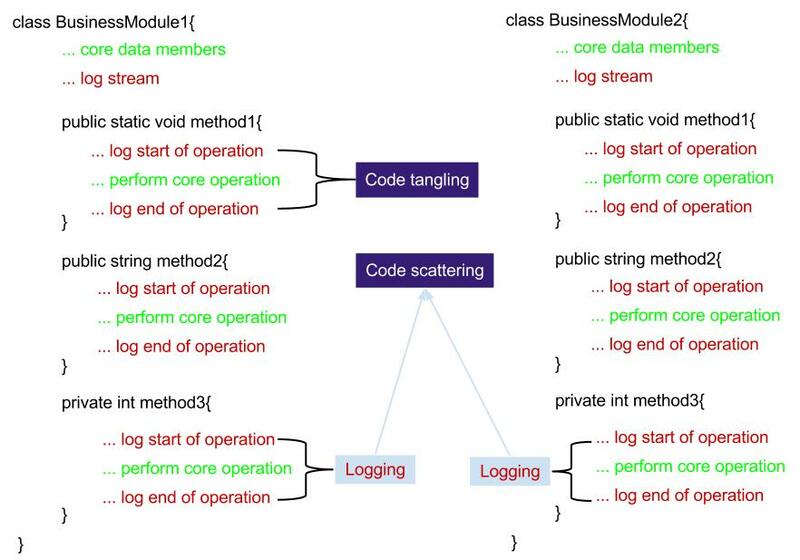 By using Object-Oriented Programming (OOP), we can define low coupling and high cohesion system. However, when it comes to cross-cutting concerns, it does not handle it well for the reason that it does not relation between handle core concerns and cross-cutting concerns. This post is very good. Quick and straight to the point. Do you mind if I borrow this diagram idea (I’ll make my own version of it) for presentations that I give on AOP or in my upcoming AOP book?